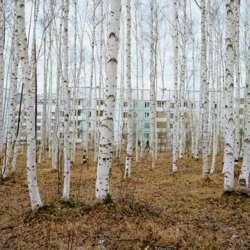 You must be a member of the Moscow Photography & Film Group to attend this activity. Would you like to join this group? Let's get together and go to this photography exhibition together. The group exhibition New Landscape features seven photography projects exploring the landscape as a means to reflect on the new post-Soviet culture. The artists focus on the everyday and the mundane, that which is habitually ignored yet provides abundant information about contemporary Russian society. The changes that Russia has undergone in the recent decades have been dramatic and they are clearly manifest in the landscape. The global transition from the industrial society to the post-industrial has been augmented by Russia's transition from the planned economy to the free market, from the Soviet to the post-Soviet. Uniform shopping malls, gated communities, urban sprawl РІР‚” for the featured artists all these come as manifestations of the new post-Soviet landscape being born. Brought together the works create a portrayal of what may be a transformation of a landscape and a culture unprecedented in scale and pace. Artists: Alexander Gronsky, Anastasia Tsayder, Liza Faktor, Max Sher, Petr Antonov, Sergey Novikov, Valeri Nistratov. Curated by Anastasia Tsayder and Petr Antonov.